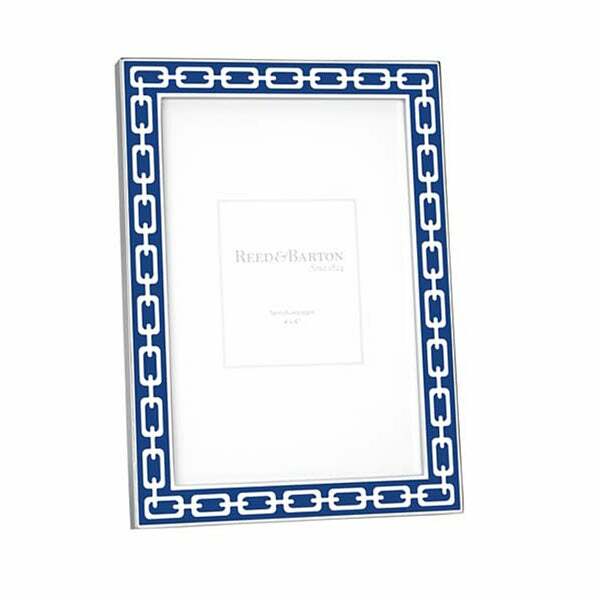 Refined design highlights this chrome-plated picture frame, with an inlay of navy enamel that surrounds a bright silver link chain design. This sophisticated frame is elegantly packaged for gift-giving, or display your own photo in charming elegance. I am very pleased with my picture frame. It fits in with the decor of my kitchen. I have a lot of the blue delft pieces and this really compliments them. It is a perfect size and the color is great. I have been really happy with everything I have ordered from Over Stock.